Almost five years on, the fall-out from Ireland’s humiliation in Nicosia seems to go on. That galling 5-2 hammering at the hands of Cyprus signaled the end of the international road for three of the starters that night. Clinton Morrison has only appeared once in a 40-man provisional squad since, whilst sliding down the divisions in England, currently scoring occasionally at League One Sheffield Wednesday. Andy O’Brien was callously dropped by then-manager Steve Staunton, but submitted his international retirement when called up by caretaker Don Given in early 2008. 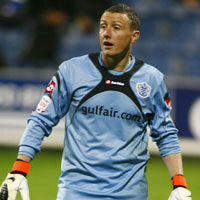 The final member of the alternative three amigos is goalkeeper Paddy Kenny. His situation is unique compared the aforementioned duo, in that many observers feel Kenny has a chance of representing his adopted country again. Starting with this evening’s vital Euro 2012 qualifier at home to Macedonia. This entry was posted in Euro 2012, Football, Internationals, Ireland. Bookmark the permalink. Valentine’s Day 2011 saw an announcement anticipated but met with sorrow around the football world and mourned with open grief in his native Brazil. 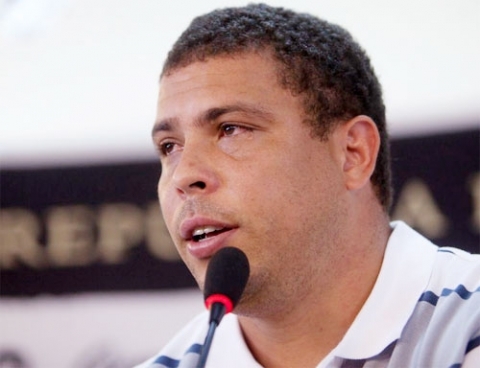 Ronaldo Luís Nazário de Lima stated at a hastily arranged press conference in Sao Paolo that he was retiring from the sport. The 34-year-old was clearly distraught and broke down several times as he explained the reason he can no play longer the game so dear to him. This entry was posted in AC Milan, Barcelona, Football, Ronaldo. Bookmark the permalink. 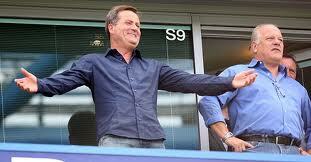 The two totems of Sky Sports football coverage have left the building. While Andy Gray had his £1.7 million per-annum contract terminated by Sky, partner-in-crime Richard Keys resigned from his post as the station’s main anchor. It seemed like a case of leaving before he was pushed. As he spent his afternoon trying to salvage his sullied reputation on Talksport, it is rumoured his bosses at Sky were discussing his fate. His position had become untenable. But not for the reasons Keys suspects. Not just because his buddy is no longer there to banter with him. This entry was posted in Football, Sky, Television. Bookmark the permalink. 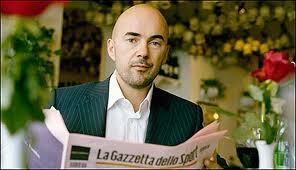 This entry was posted in AC Milan, Football, Serie A. Bookmark the permalink. New beginnings at Anfield under Hodgson? For man who prides himself on doing his job with the minimum of fuss, the first two months of Roy Hodgson’s reign as Liverpool manager have been a flurry of activity. Whilst the blame for the boardroom wrangling cannot be laid at the door of the affable Hodgson, he seems to be unusually flustered in his dealings. Between juggling reserve goalkeepers, pawning £17 million midfielders out on loan and indulging the new saviour of Anfield, the 62-year old is sowing the seeds that he hopes will harvest a successful tenure in the biggest job of his life. It’s clear he’s going to do it his way. This entry was posted in Benitez, Europa League, Football, Hodgson, Liverpool, Premier League. Bookmark the permalink. This entry was posted in Football, Internationals, World Cup. Bookmark the permalink.